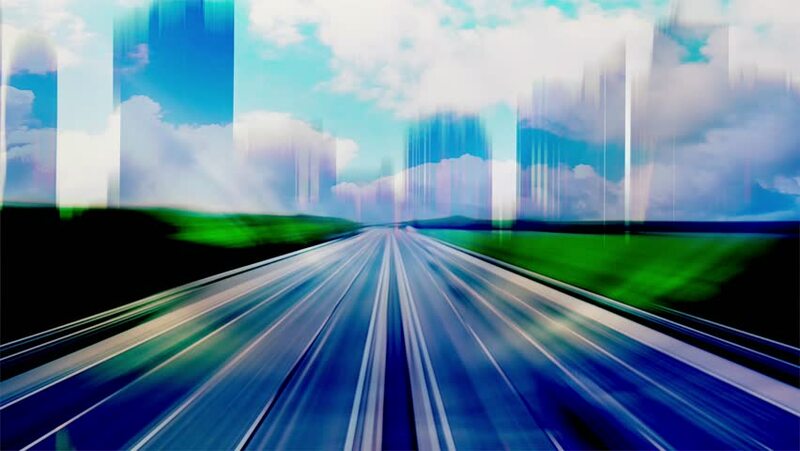 Automated Driving Systems (ADS) are expected to result in the greatest sea change in transportation since the invention of the automobile. Reaching a point of mass adaptation, though, is akin to a long-distance, high-hurdle steeplechase. One of the highest hurdles for ADS to clear is the human driver itself. “The Tesla driver’s pattern of use of the Autopilot system indicated an over-reliance on the automation and a lack of understanding of the system limitations. “If automated vehicle control systems do not automatically restrict their own operation to conditions for which they were designed . . . the risk of driver misuse remains. “[How] the Tesla Autopilot system monitored and responded to the driver’s interaction with the steering wheel was not an effective method of ensuring driver engagement. Most on-road testing is conducted in Arizona, California, Michigan, Nevada, and Pennsylvania — and these public, real-life tests show that human drivers of traditional vehicles now are the cause of most of the collisions involving an ADS vehicle. Since 2014, 104 incidents in California have involved ADS vehicles — 49 of those have occurred in 2018, to date.1 (Stewart). Of these incidents, 57% involved the ADS vehicle being rear-ended. In 29% of the incidents, the ADS vehicle was sideswiped. The causes at the root of most of these collisions include traditional driver frustration or distraction. Kyle Vogt, cofounder and CEO at Cruise, notes that human drivers expect other drivers to “bend or break traffic rules, rolling through four-way intersections, accelerating to make a yellow light, or cruising over the speed limit.” But automated cars won’t break the rules. In the case of sideswipes, drivers of traditional vehicles have become frustrated, for instance, following behind an ADS car going 30 mph, where most traffic is pushing 40 mph. In attempts to squeeze around the ADS vehicle, traditional cars have sideswiped the ADS. As for the rear-end collisions, drivers following ADS vehicles don’t realize that they need to be much more attentive to the ADS cars’ making full stops at stop signs, stopping at crosswalks, and otherwise following the letter of the traffic law. (Stewart). One suggestion to improve the traditional vehicle vs ADS vehicle collision rate is to label the ADS vehicles, similarly to how some parents put “New Driver” signs in their rear windows when teaching their teenagers to drive. (Stewart). 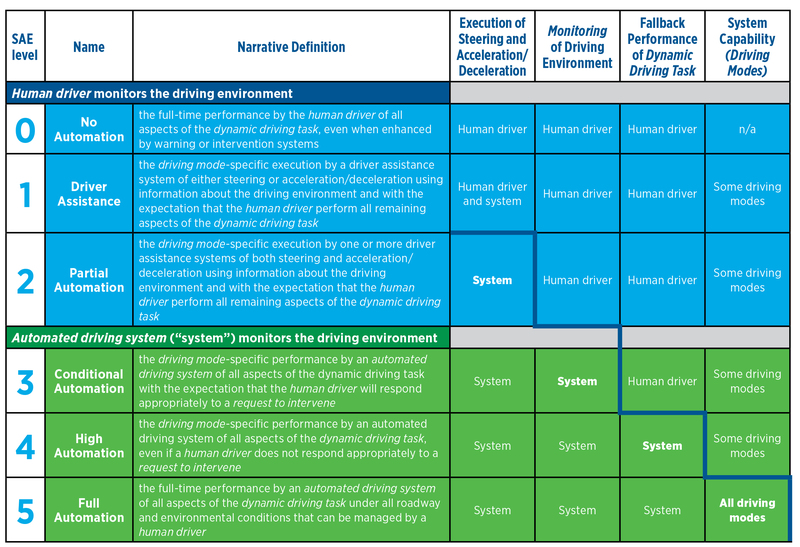 SAE's Levels of Vehicle Automation. Standard J3016. Copyright © SAE International. 1 California is the only state that requires ADS-related companies to submit an annual report to the DMV.